The Senate on Wednesday sent to President Trump’s desk an annual defense policy bill that included language setting up several Pentagon agencies to slash their operations by 25 percent over the next few years. The cuts were a controversial piece of the fiscal 2019 National Defense Authorization Act, with the Senate not including them in its version of the bill but ultimately accepting the provision in the final compromise legislation agreed to by a conference committee. Even before the bill’s passage, the Trump administration had started to prepare for such reductions. Former officials who worked on streamlining back-office functions questioned the proposal, however, calling the goals arbitrary and potentially risking mission-critical work. The measure would authorize 25 percent cuts by 2021 to departmentwide activities such as logistics, human resources, services contracts and real property management. 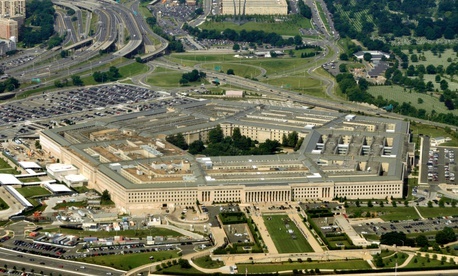 The Pentagon’s chief management officer would in the coming years report on the need to continue the cuts and the possibility of eliminating the Defense Contract Management Agency and the Defense Finance and Accounting Service. Lawmakers did not include a provision tucked into a previous iteration of the bill to eliminate the Washington Headquarters Service and shrink the Defense Information Systems Agency. The authorization act would require a review of the functions of the chief information officer and the departmentwide activities of the inspector general. If Defense officials determine that 25 percent cuts would infringe on the department's efficient delivery of services, they would have to specify a lower threshold and submit a justification to Congress by Oct. 1, 2019. Robert Work, who served as deputy secretary of Defense from 2014 through the opening months of the Trump administration in 2017, said the department’s cross-enterprise business activities “need to become more efficient” and the focus generally is a positive one. He called the specific 25 percent threshold unwise, however, noting that different activities might have more fat to trim than others. Work led a charge to make the Pentagon better informed on what it was spending on those activities, saying it did a poor job of cost accounting and therefore did not have a good grasp on “the cost of doing business.” His office planned to go through each departmentwide business function individually to get a better handle on where the expenses were going, but had only completed that process for real estate management by the time he left. Work said his office was confident there was money to be saved in the cross-enterprise business operations, but it had not “gotten there yet” because it was focused on meeting another congressional mandate to slash 25 percent of spending at headquarters offices. The Pentagon was on track to reach that goal at the time of his departure, he said, but was just getting its attention focused on the back-office operations. He suggested his successors could run into trouble meeting the new mandate, as those agencies have already been stripped of their low-hanging fruit. He has set up nine teams to evaluate areas for improvement and said he was aligned “in spirit” with the reform metrics included in the Defense authorization measure. “It is tempting to try to achieve savings through arbitrary, across-the-board cuts, but that isn’t real reform,” Levine said. Both Levine and Work noted that while the so-called “fourth estate” maintains a budget of about $120 billion—or 17 percent of the Pentagon’s overall spending—most of it is not overhead. One-third is spent on the Defense Health Program and anther third goes toward the Missile Defense Agency and U.S. Special Operations Command. Work suggested Congress could find more significant savings from, for example, raising copays for military members, but lawmakers have refused to go along with such reforms. Levine suggested that departmentwide agencies have already consolidated services that used to be provided individually by each military branch. The Defense Finance and Accounting Service and Defense Logistics Agency have cut their workforces by nearly two-thirds since they absorbed functions previously performed at the service level more than two decades ago. The Pentagon would better achieve savings, Levine said, by actually giving the departmentwide business operations agencies more power to absorb functions currently performed at the service level. Work warned against arbitrary goals for cuts, noting the potential repercussions from his own experience.